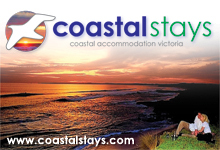 In order to provide a quality service through our online directories and guides in the Website, Coastal Stays Australia Pty Ltd (“Coastal Stays Australia”) offers visitors to the Website the ability to contact the individual listing providers and advertisers regarding their listing or advertisement. In order to provide this service, Coastal Stays Australia collects personal information about these visitors in accordance with the National Privacy Principles contained in the Privacy Act 1988 (Cth) (“Privacy Act”) (as amended from time to time and subject to exemptions that apply to us under that Act) and with this Policy. When you submit your details using the "Contact Us", “General Enquiry”, or “Booking Enquiry” form, or any other form on the Website that requires you to submit your details, we need to collect personal information about you, including (but not limited to) your name and contact details and any other information you provide. The reason we need this personal information is so that we can communicate your personal information to the listing provider or advertiser regarding your enquiry. We may request a more specific purpose at the point we collect your personal information if necessary. Coastal Stays Australia will not sell or trade personal information about you to or with third parties, other than by providing the listing provider or advertiser that you have specifically selected to contact when using one of our contact forms on the Website. By using the Website and submitting your personal information in any of these ways, you consent to Coastal Stays Australia communicating your personal information to the specific listing provider or advertiser. Our listing providers and advertisers have also been made aware of their obligations regarding the privacy of your information that has been submitted to them, however Coastal Stays Australia cannot be held responsible for the actions of those listing providers and advertisers. The Website may contain links to other web sites. Coastal Stays Australia is not responsible for the privacy practices of websites not operated by Coastal Stays Australia. Coastal Stays Australia encourages users to read the privacy statements of each and every web site that collects personal information. Any information that we collect and store that is personally identifiable is protected using appropriate means. Coastal Stays Australia protects the personal information it collects in a secure database, which can only be accessed by its employees with security clearance and they will only access this information in appropriate circumstances. Coastal Stays Australia’s employees treat personal information held by Coastal Stays Australia as confidential, and maintain the confidentiality of that personal information. If You require access to this information, We will only release this information to you if you give us appropriate authorisation and after We have determined that You are, in fact, You, and not someone impersonating You. Although we have appropriate systems in place, we and our providers cannot guarantee and will not be held responsible for any unauthorised access by third parties. Under the Privacy Act, you have a right to seek access to information that Coastal Stays Australia holds about you. You also have the right to ask us to correct information about you, which is inaccurate, incomplete or out of date. If you wish to access the personal information that we hold about you, or change personal information that is inaccurate or out-of-date, please set out your request in an email to webmaster@coastalstays.com. Coastal Stays Australia may use the personal information collected from visitors to the Website to inform these visitors of new products and services provided by Coastal Stays Australia, as well as special offers from third parties. Coastal Stays Australia respects a visitor’s choice not to be contacted for marketing purposes, and will remove any visitor from marketing lists upon request. Coastal Stays Australia expends significant effort and expense in maintaining a name suppression system, and makes every reasonable effort to comply with visitor’s requests.